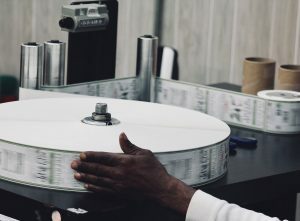 At Horne Label & Printing we are a direct manufacturer of custom labels and tag products; this allow us to remove the middle man and deliver the best quality, service and pricing to our clients. In addition, we stock a multitude of shipping supplies and packaging products for which to assist you in expanding your company to its full potential. As a family owned and operated company, we have built a solid foundation delivering on exceptional customer service for over 30 years. Our ultimate goal is solving your problems and proving the best quality in goods for your company. We specialize in designing custom labels and tags; as the largest manufacturer in South Carolina, we pride ourselves in our ability to deliver exactly what you need. Our brand is helping you define yours!